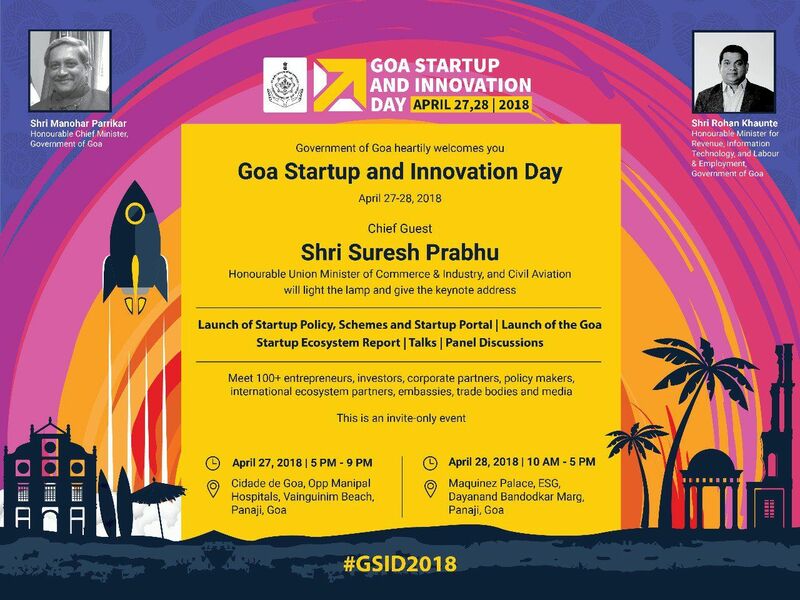 April 27th and 28th are being celebrated as Goa Startup and Innovative day in the state. The Honorable Union minister of Commerce and Industry and Civil Aviation, Mr. Suresh Prabhu will light the lamp thereby inaugurating the event and then deliver the keynote speech. This event will launch the startup policy in the state, along with the launch of the Goa startup ecosystem report. The event will also see talks and panel discussions. More than 100 entrepreneurs, investors, corporate partners, embassies and trade bodies will be present at the event. The event managed to get this far thanks to the constant aid and support of Shri Manohar Parrikar, Honourable Chief Minister of Goa and Shri. Rohan Khaunte, Honourable Minister for revenue and information technology. The inaugural will be taking place at Cidade de Goa today evening. It will be followed by a day-long event tomorrow at the Maquinez Palace in Panjim from 10 am to 5 pm.